Using Feathr for the second year, ASIS International earned nearly 1,300 conversions and an impressive 33x ROI for its GSX show. Founded in 1955, ASIS International is a global community of security practitioners, each of whom has a role in the protection of assets: people, property, and/or information. Its members represent virtually every industry in the public and private sectors, and organizations of all sizes. From entry-level managers to CSOs to CEOs, from security veterans to consultants and those transitioning from law enforcement or the military, the ASIS International community is global and diverse. ASIS International headquarters is located in Alexandria, VA.
ASIS International already puts on one of the premier security shows in the industry, but in the heart of every event organizer is a drive to grow their events year after year. 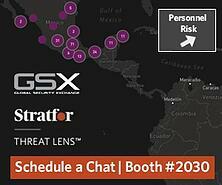 In 2018, ASIS International also had a unique challenge: a rebrand of its event to GSX, the Global Security Exchange. Wanting to make a big first impression with the rebranded event, ASIS International's marketing manager Jessie Wolfe reached out to Feathr looking for ways to reach new audiences, grow attendance, and increase revenue for GSX 2018 without significantly adding to her team's work burden. According to Jessie, one of Feathr's most appealing aspects was the potential to modernize ASIS International's marketing strategy by incorporating website advertising. As it turns out, she came to the right place. Feathr Customer Success Manager Anna Rosato helped Jessie and her team develop a multi-faceted strategy using Feathr to advertise GSX to ASIS International's website audience. As Feathr veterans (2 years counts as a veteran in the startup world! ), ASIS International stepped up its use of Feathr products beyond just Ads. With Anna's help, ASIS International integrated nearly the entire Feathr suite of products, using Ads, Invites, and Monetization. Feathr customers that see successful results with Ads are usually eager to incorporate more Feathr products into their marketing strategy because each Feathr product amplifies the effectiveness of the others, moving and working together like a flock of starlings. A few examples of ASIS International's comprehensive campaign creatives for GSX 2018. Jessie's team also took advantage of Feathr's Invites product. Invites offers event partners branded and customizable landing pages, enabling them to advertise their involvement with the event to their own audience, multiplying the number of prospective attendees Feathr customers can reach. Feathr Invites can build hundreds of customized landing pages with a single setup, meaning next to no additional work for Jessie's team. The landing pages are conversion-optimized, enabling event partner audiences to easily register for the event via each partner's referral portal. 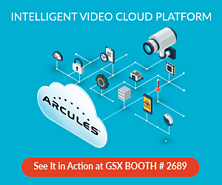 For GSX, ASIS International provided branded landing pages to event speakers, who could then choose how they shared the page to their audiences. An example of an Invites partner referral page from GSX 2018. Infinitely sharable, customizable, and scalable, they are the perfect free collateral for event partners to promote their involvement in your show. 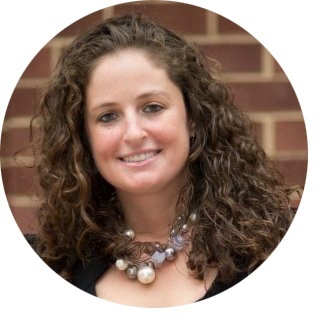 In addition to Ads and Invites, Jessie and her team utilized Feathr's Monetization product, which enables exhibitors and other event partners to advertise their exhibits, products, and content to ASIS International's online audience. Such "digital sponsorships" are a simple and affordable way for Feathr customers to open a new revenue stream and connect event partners with qualified prospects. One particularly successful use case for Monetization is booth awareness. Monetization partners can run display campaigns to the event organizers' audience with any message they choose, but a booth awareness campaign is an excellent way of ensuring booth traffic to boost an exhibitor's ROI for the event. ASIS International's Monetization campaigns earned its event partners nearly a million impressions and opened a lucrative new revenue stream. Monetization packages can be sold as an addition to sponsorship packages (digital sponsorships), or as a standalone, year-round opportunity for event partners to continue advertising their products and services to the event's web audience long after the event is over. Learn more about the many benefits of Monetization here. ASIS International's well-rounded campaigns for GSX 2018 earned a healthy 2,000,000 impressions. In total, Feathr campaigns earned nearly 1,300 registrations for GSX, at a $9.82 CPA. In all, ASIS International earned back 33x what it spent on Feathr ad campaigns alone. That doesn't count the additional revenue generated from Monetization. 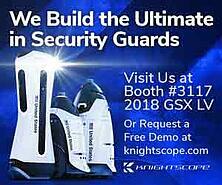 Looks like ASIS International's future with GSX and Feathr is more secure than ever.